"Caters for weddings and functions"
All reviews are the subjective opinions of third parties and not of the website or its owners. Reviews are placed by members of the public that have held a function or event at Comrie Croft. 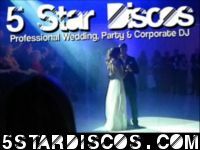 At needadisco.com we only accept reviews from confirmed clients that have booked a DJ to play at Comrie Croft via our website, with the arrangements independently verified by both the DJ and the client before the event takes place - no "fake reviews" here! Helpful information for DJs and entertainers visiting Comrie Croft provided by trusted members of needadisco.com. PARKING: Few parking spaces around the barn. These aren;t for the public so you should get parked relatively easy. Just watch you don't get trapped in by other suppliers. ACCESS: In through a single door fire exit and across the opposite end of the room to the stage. The ground can be really mucky due to it being a farm/barn. FACILITIES: Good sized stage, 2 sockets. ADDITIONAL COMMENTS: "Good venue but can get really dark so you need good lighting and a fairly big PA."
ACCESS: Access is through doors next to parking yard. Straight into function area. Again getting access can be a struggle if you arrive after other suppliers. FACILITIES: Stage generally in corner and is made of bales of hay with wooden floor on top. Perfectly stable but acoustically make sure subs go on stone floor. STAFF: Comrie staff generally have little to do with actual function as Bar, catering etc is all external. It should be noted that there is an embargo on amplified music after 11pm which is strictly enforced. ADDITIONAL COMMENTS: "This is a large barn venue which can only be described as rustic. Its primarily a campsite and the venue is a converted barn with a stone floor. Roads leading to the site are quite rough. However it has a lot of charm and atmosphere." 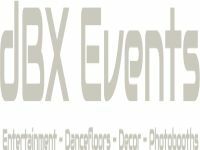 Information is based on enquiries and bookings handled via needadisco.com so whilst it's a great insight, if you have any questions or concerns about holding a function or event at Comrie Croft please contact the venue. Comrie Croft is in our Conference Venue category. The map below shows other local venues in the same category. 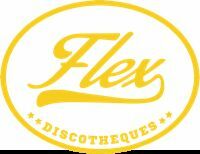 Get FREE no-obligation disco quotes from Flex Discotheques and other DJs covering your venue. Take 2 minutes to fill in some basic details and we'll do the rest!